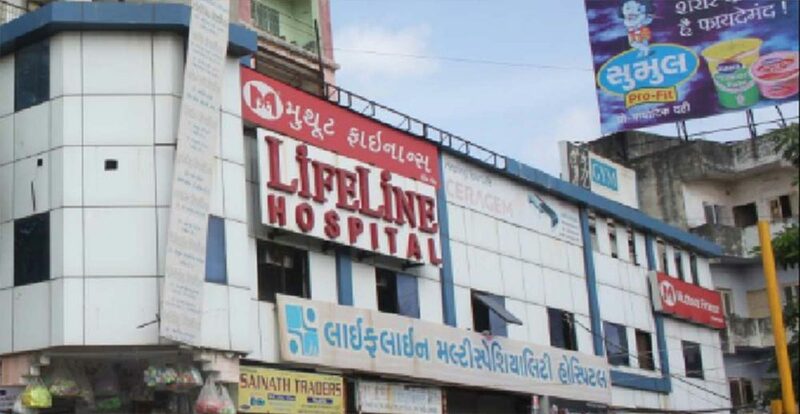 The Lifeline Multispeciality Hospital, Surat - It is the start of a partnership that we at the Apex Kidney Care hope will make it more convenient for people living in the area to avail of quality dialysis services at affordable costs. It is an opportunity for the Hospital to implement a very innovative and very unique dialysis program that will take renal healthcare to a different level. Apex Kidney Care is in the process of establishing high quality dialysis care machines and equipment at the Lifeline Hospital. Mr Sudhir Bagarao, Technical and Quality Control Head , is positive for the implementation of good quality standards as well as an early initiation. It will be a 6 bedded center offering in-center Hemodialysis and OPD consultations. Dr. Siddharth Jain will be primry Nephrologist handling the dialysis unit. He has years of experience in the field of renal healthcare and is well known in the medical community for his contributions in the renal healthcare field. Apex Kidney Care will also be deploying it's comprehensive patient management and dialysis center management system, AXIS. AXIS is primarily a research tool that is used by nephrologists to help patients track their renal health patterns. This helps patients over the long term to prevent complications and achieve good health. The project has been in the planning phase for almost a year. It is the basic tenets of AKC to improve the standard of living of patients with good quality renal services. It is the need of the hour that patients receive proper education about what they are suffering and possible treatment options and proper consultation to understand that they can continue living a healthy life even being on dialysis.